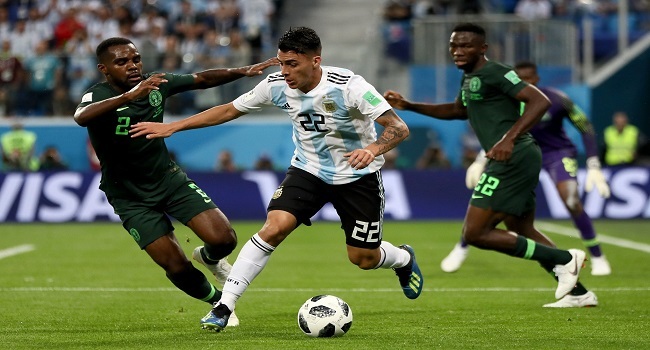 Footballing giants France and Argentina face-off in the World Cup round-of-16 at the Kazan Arena in Kazan on Sunday. This will be their 12th meeting in international football but their past back catalogue of clashes doesn’t leave them on an even footing. Argentina has won six of those matches while Les Bleus have triumphed just twice, along with three draws. Interestingly, two of Argentina’s victories came in the World Cup finals courtesy of a 1-0 win back in the 1930 edition of football’s biggest showpiece and then a 2-1 success en-route to their overall victory in 1978. Argentina plays France at 2am on Sunday and you can watch it live on FBC TV.